Vitamin D is an important vitamin needed for a healthy life. It is very easy to get, but approximately 85% of people do not get the recommended daily value, thus leading to deficiency. Those who do not get enough sunlight, have a dairy allergy, or who are strictly vegan may be at risk of having a deficiency. This deficiency can have some scary consequences. 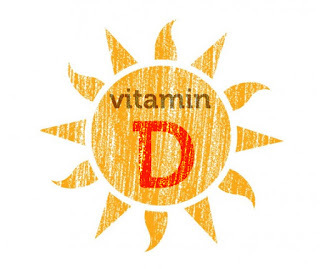 There are many natural sources of vitamin D, the most natural being sunlight. Your body absorbs vitamin D when your skin is exposed to sunlight. That does not mean that you should expose your skin to sunlight unprotected, though. Always wear sunscreen! It will not affect the absorption of the vitamin. Okay, I’m off my soapbox now. 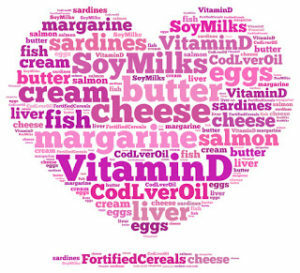 Other sources of vitamin D can be found in foods such as milk, eggs, cheese, fatty fish, cod liver oils, butter, whole grains and fortified cereals. Of course, you can always take a supplement, however, they are rarely absorbed as well as natural sources. The recommended daily value is is 600IU (international units).